I can’t believe it, it’s already the end of the series for series 26 of Top Gear. After waiting what feels like forever for it to roll around, it’s gone after just five episodes. I know BBC has cut the number of episodes down for Top Gear in recent years, but this is taking the biscuit! Anyway, let’s crack on with what is to be the end of era? Why? Well, in case you didn’t know, this is the last episode of the LeBlanc, Harris and Reid format. Tonight’s show is a jam-packed one, and we kick off with Matt LeBlanc driving the new Aston Martin Vantage. He starts by stating that the new model has more power, but more importantly, a bigger price, meaning that it’s now in a different league of cars. The early signs look good, but like Hammond did in his review on The Grand Tour, LeBlanc drops the “it’s got a German engine” bomb. This, LeBlanc says in a jovial manner, goes against what he was promised when he came to the UK; Astons will always have a British engine. 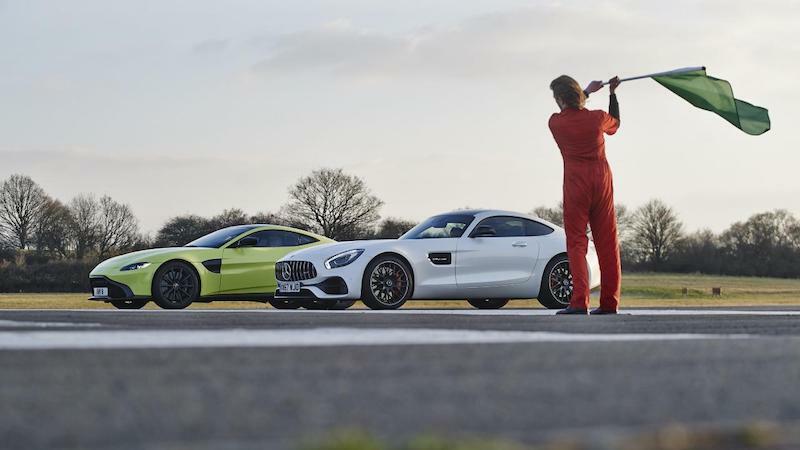 However, LeBlanc states that AMG is making the best turbocharged performance engines at the moment, and that if Aston Martin is going to copy from someone, it may as well be the “smartest kid in the class” as LeBlanc puts it. He delivers the review well with a good mix of humour and information, and to this point I was rather enjoying – maybe a bit more than Hammond’s review. There is a problem, though. LeBlanc stops proceedings to do the unthinkable. He says he loves how the Vantage drives, but he doesn’t like the body covering the German performance, comparing it to a catfish. I know, right, the ultimate sacrilege. To add insult to injury, he then drafts in a Mercedes AMG GTS for comparison and (spoiler alert) he declares it’s the better car to have. A bit of a controversial outcome, but it was a good review all the same. 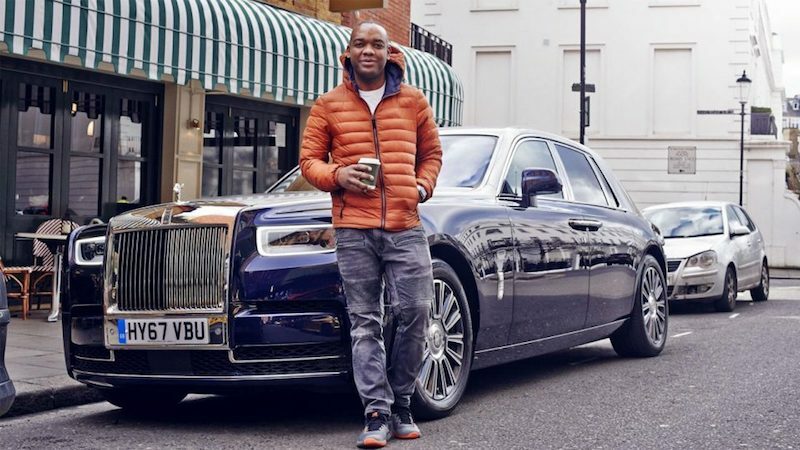 After that bombshell dropped by LeBlanc, we join Rory Reid in the Rolls Royce, Phantom which Rolls Royce themselves have dubbed ‘the best car in the world’ – but is it? Well Rory Reid goes to find out, and quickly he picks apart that theory by saying it’s too difficult to park and that despite its size, it only seats four, not seven like a SEAT Alhambra. However, as Reid delves deeper in to this super expensive luxury car it’s clear what Rolls Royce are getting at. Reid delivers the review in a great fashion, using his typical sense of enthusiastic humour whilst delivering key facts about the car. A special mention has to go to the production team as well as some of the shots were beautiful, which really added to the film. 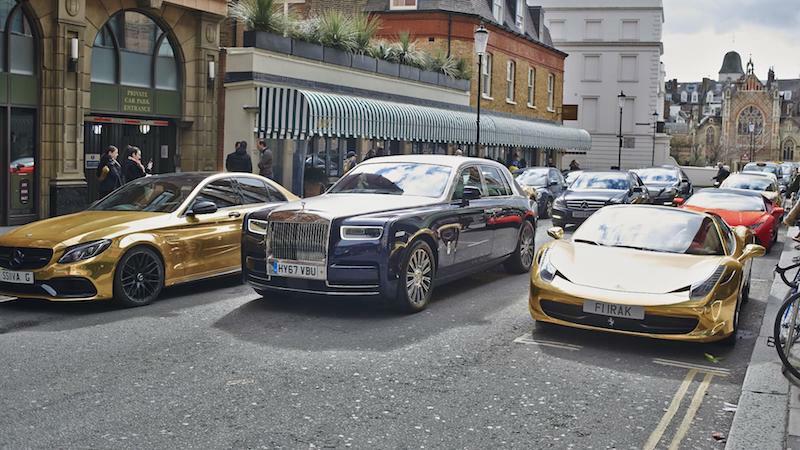 Reid goes on to talk about how the Phantom is the car to have if you want to show off, and that Rolls Royce is a brand no longer for those that are understated. He explains it’s for showing off, it’s excess on wheels, the catnip for those with lots of Instagram followers. He then goes on to explain why the tyres are filled with foam and how you can commission your own artwork to put in the ‘gallery’. After that cracking piece of footage, we join Chris Harris in the Top Gear studio explaining how viewers want some proper consumer advice. 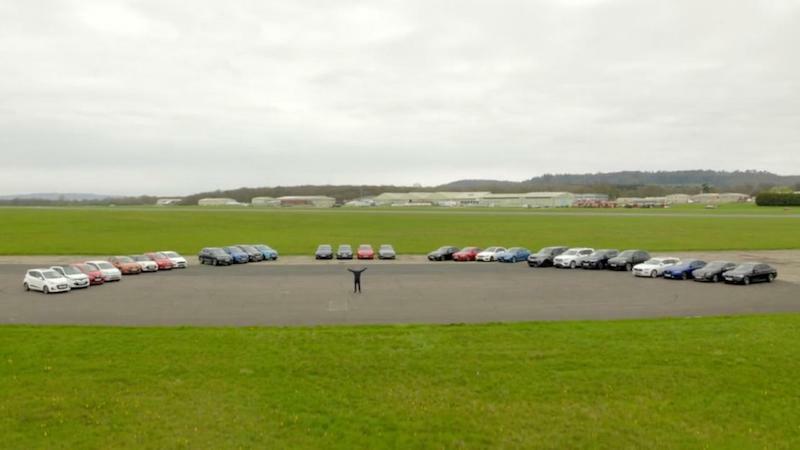 We then cut to him at the Top Gear Test track where he is joined by a various collection of different cars. From here, Harris frantically rattles through a whole hosts of cars in a quick, efficient, humours, and at times brutal fashion. I simply loved the way how he didn’t hold back from laying in to cars, and the mock spit when he was talking about small SUVs really made me crease up. It was a very short film but a very entertaining one. We go back to Reid who talks about the autonomous emergency braking, and aims to put it to the test to see whether it works. Once again, we head out to the Top Gear test track, albeit on the outskirts. Reid is joined by a VW Arteon and Professor ‘Brian Box’, whom was the dummy for this test. 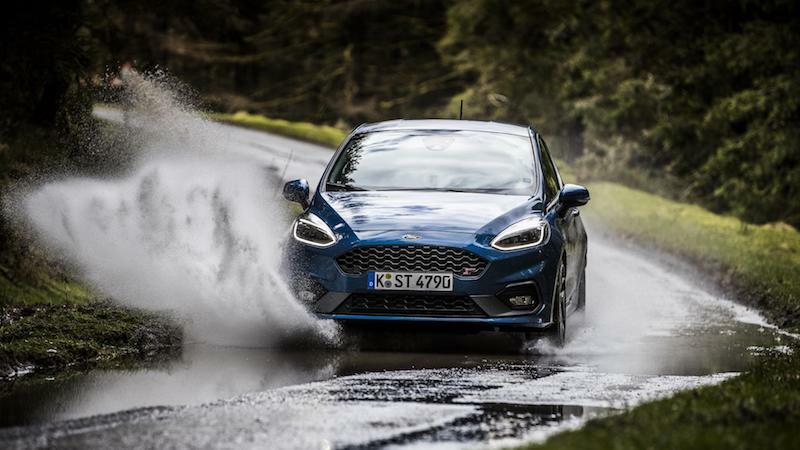 No, seriously, though, Harris does a cracking job of reviewing the ST, helping to bring back memories of my time spent with the car. He argues that it’s the perfect hot hatch for Britain, which is pretty much what I thought of it when I drove it. It’s got power you can actually use on the road, it’s not too big to throw about on your typical B-road, and it won’t cost the earth to buy or to run. The same cannot be said for the car Harris brings in for comparison – the Lamborghini Aventador S. This is a supercar that could simply brush the ST aside on a racetrack, but we don’t all have the luxuries to drive on racetracks, some of use have to drive in the real world. This, as Harris explains is pretty grim in the Lambo as you can’t use all of its power, it’s not very to good to drive in town, and it’s also a bit of a bugger to park. Tonight’s episode was fantastic, but it was also a fantastic reminder of what we are going to be missing in series 27. 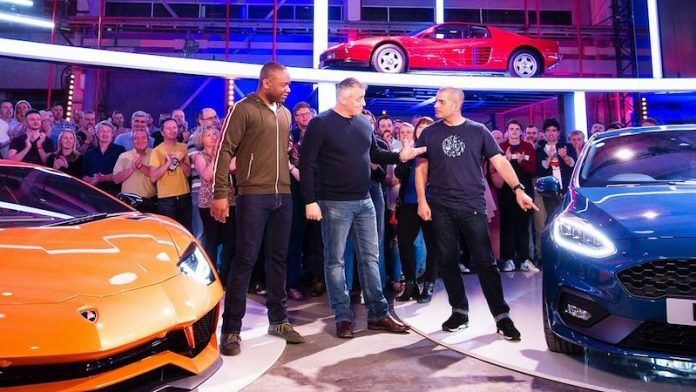 Series 26 has been a very strong one, and I feel Top Gear was going in the right direction, but once again all the hard work has been undone because LeBlanc is departing, leading the Beeb to shake things up again. Reid has been dropped to Extra Gear only, but Harris remains. He will be joined by Freddie Flintoff and Paddy McGuinness as of series 27, which will be…interesting. As it happens, after the gag reel at the tail end of the show, there was a little teaser clip of the next series showing the new trio in some form of modified used car with Flintoff rolling it. I know it was a very short clip, but I’ll be honest, it didn’t make me look forward to series 27. Is Top Gear on its way down? Time will tell.